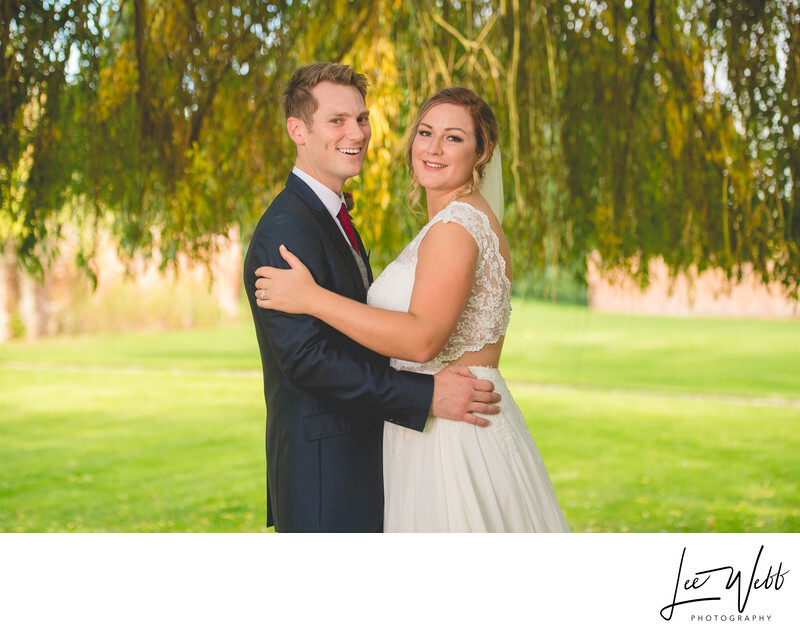 Heather and Craig got married at the stunning Stanbrook Abbey in October. A lot of people might be put off my weddings later in the year, and you can understand why that might be. There's a slightly heightened chance of rain, and the average temperatures fall compared to what they are in the middle of the year. The other consideration you need to make when looking at weddings this time of year, is what time you're getting married and what time the sun is setting. If you plan a wedding that's too late in the day, there's a risk you'll be going into the wedding reception with the sun going down. However, whatever the time of year, you can use the setting sun to your advantage. For the final hour of daylight before the sun sets, you get a lovely golden light, often referred to by photographer as 'the golden hour'. 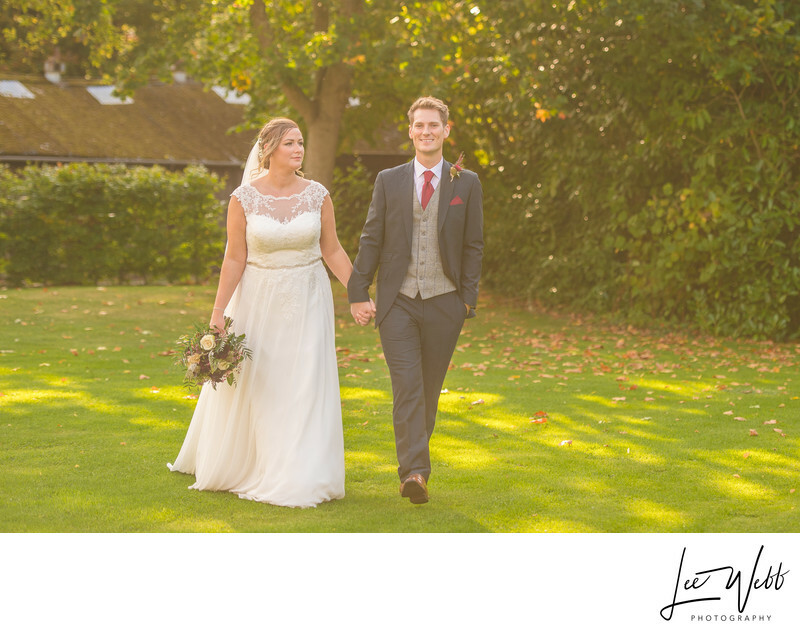 Before the bride and groom were called into their wedding breakfast, we took a quick walk around the grounds of Stanbrook Abbey. After taking some fantastic photos by the hidden lake, under the willow, we began to make our way back to the front of the Abbey when the sun started casting a gorgeous golden light over us. I turned to the bride and groom and started snapping and they walked towards me hand in hand. As I was taking photos towards the sun I was able to better emphasise the warm golden light that we were experiencing. It works really well in this image, with the gold light and soft contrast giving the image a dream like feel.